Carpooling is a small step towards saving our environment. First, strike up a conversation with the parents of your kid’s friends who live in your area. If they like the idea, then make a schedule for when it’s every parents turn to pick and drop off the kids. As we mentioned, carpooling is a great step you can take to protect the environment by reducing your carbon footprint. 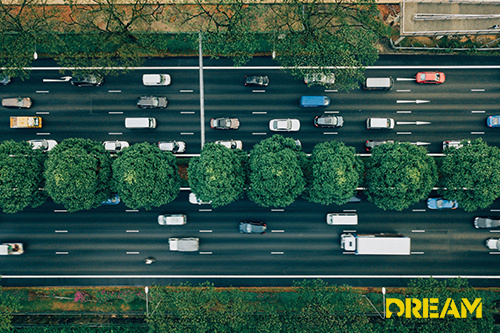 It will not only reduce your carbon emissions, but also reduce the total number of vehicles on the road making rush hour traffic less crowded. There are many environmental organizations which will support you for carpooling. How much time do you spend every day in school traffic? Traffic can be unpredictable. Factors like weather, events, and time of the day can all play a role in how quickly you’ll be able to get to work. With a reliable carpool system, you’ll have to worry about the hustle and bustle of morning traffic once every few days. Since you are using your car fewer times than normal, it will certainly save you a lot of money and keep your visits to the gas station to a minimum. With the money you save at the pump, you could buy gifts for your kids or spend it on yourself by buying a relaxing massage. When you are a part of a carpooling system, naturally you will be in constant communication with other parents in your neighborhood. It will help your child to talk with their friends on the way to school in the morning. Your car will love carpooling. Carpooling can help save on mileage. Meaning less oil changes, less gas, less wear and tear, less pressure on your tires and less of a chance for a rush hour fender bender. When carpooling, either you’re the driver or you are in constant communication with the driver. You know where they live in your neighborhood and when they will be arriving to pick up your child and drop them off afterward. In case of any confusion, you can easily make a direct phone call and be confident that they are being driven someone whom you trust.